Substantial home additions almost always require permits, and solar panels are no exception. Solar panel permits, along with other residential permits, exist to keep you safe. As noted by the Office of Energy Efficiency and Renewable Energy, solar panel permits ensure that the installation meets safety standards, but they also serve as a paper trail for local governments to see what communities are solar powered. Pulling a solar panel permit for impending work helps ensure that the work will be done according to code. In fact, most of the country requires it. Local jurisdictions usually require building or electrical permits before installing photovoltaic systems. Some regions will require both. It’s important to check with your local building department to make sure you apply for what you need before any work begins. Homeowners can also connect with trusted solar panel contractors for more questions through Modernize. With an ever-growing industry like solar energy, compliance rules are constantly changing. It’s important to pull a permit every time, even if a home already has existing solar panels. Solar panel installation requirements vary depending on the state, local government, the system being installed and other factors — you can find out more about your state’s requirements by talking to one of Modernize’s recommended solar contractors. The best way to make sure codes aren’t being violated is to have a professional solar panel contractor come in, assess the project, and figure out what permissions you will need. 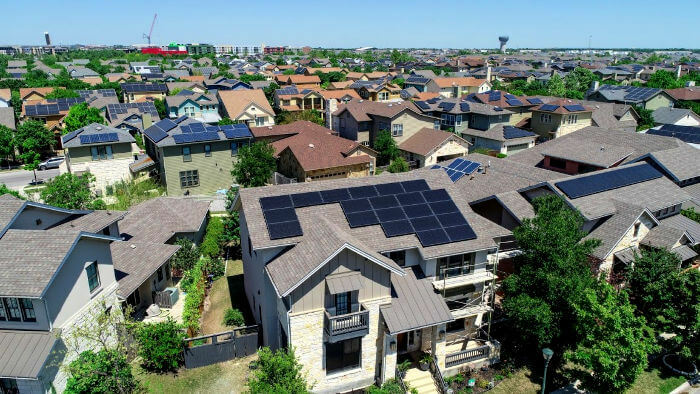 Because solar technology is still a new residential permit acquisition, the type of permit you’ll need to attain depends on the state you live in. In Nixa, Missouri for instance, the city council is looking to take solar panel permits out of the “miscellaneous” permit category and give it its own permitting category. It is important to make sure you know what kind of permit you need in your city and how much it will cost. You can confirm what’s needed, file, and submit for solar panel permits with your local building department. Installing solar panels on your home without a permit can create larger issues down the line. Projects lacking the proper authorization and documentation can lead to potentially dangerous situations. Permits ensure every step of the installation is uniform and documented. As the solar industry continues to grow, it’s important to be vigilant in getting every planning stage right. Pre-planning the right way now might mean saving a lot of money later. Modernize encourages homeowners to discuss what permits are necessary for meeting local and countywide standards with their preferred contractor. This will ensure projects are completed carefully and safely.